It's simply hard to beat racing in the Caribbean and a week competing in the BVI Spring Regatta & Sailing Festival is no exception. A highlight is always the diversity of boats that participate across many classes - this year there will be some 18 classes - including boats who are in for the very first time, like the newly launched all-carbon HH66 NALA. Others, such as the J122 El Ocaso which has competed in the regatta for the past 10 consecutive years, just keep coming back for more. 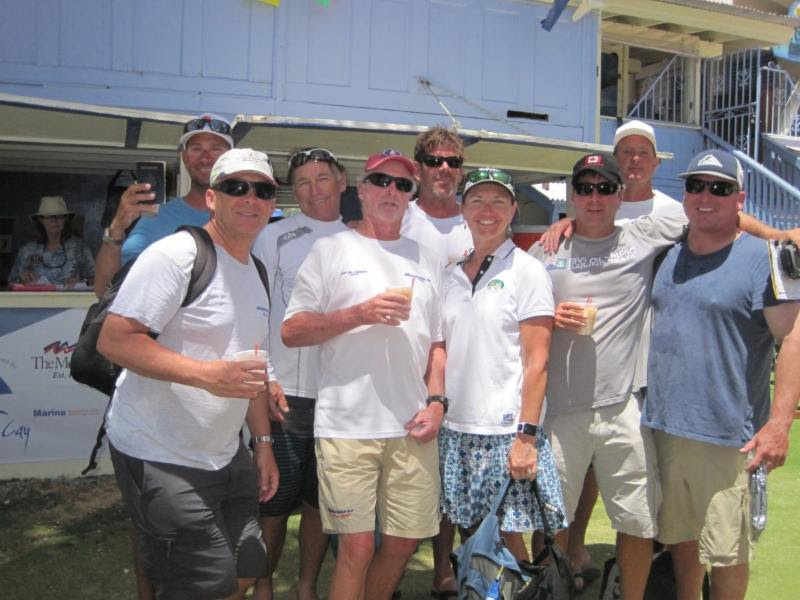 Likewise, many crew will be racing BVI Spring Regatta for the first time, while others are event old timers, coming back again because they know just how good it all is. NALA, the carbon rocket ship owned by Jim Vos, a dinghy sailor and long-time boat owner, is seriously fresh out of the yard in Xiamen, China. The brainchild of renown multihull designers Morelli & Melvin, NALA's just been unloaded in Fort Lauderdale and boat captain Collin Marshall, who lives in St John, US Virgin Islands, will be spending the next few weeks completing the commissioning work on her before heading into the Caribbean race circuit, including BVI Spring Regatta. At 66' (20.11m) long, NALA races with a turbo-charged rig and T-foil rudders that assist stability and reduce pitching in big seas. Curved daggerboards help create lift at higher boat speeds making her faster on all points of sail, Marshall explained. This all-carbon racing machine is super light and as Marshall described, is designed for racing in every condition. "While we haven't had a chance to really put it through her paces yet, she seems to do pretty well in chop. 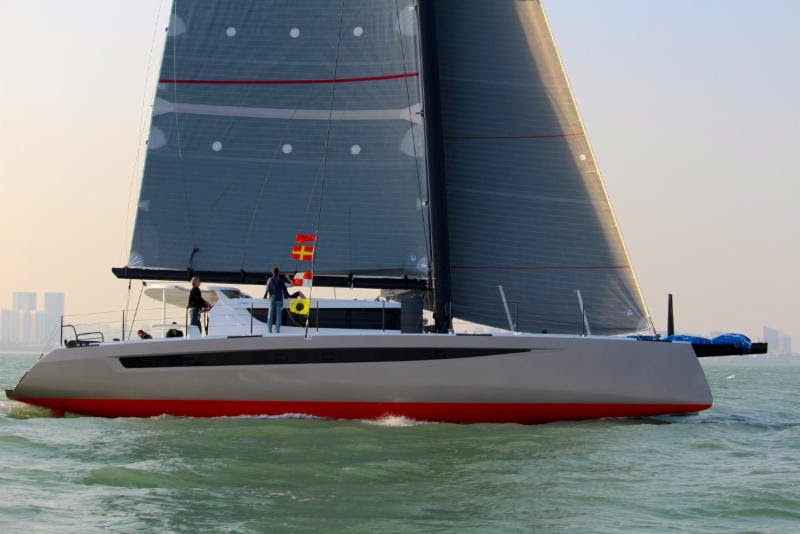 She's going to love big breeze - being in the Caribbean is going to be fantastic once we figure out the bugs, but she is really designed for both light and heavy air regattas." Marshall expects to race with 10 crew on board who will be coming from all over the east and west coasts of the US. "We had quite a few Kiwis and Aussies working in China on this project so we'll also have a Kiwi or two on board - for good luck!" Marshall said, smiling. Also new to BVI Spring Regatta this year is Challenger, a modified Whitbread 60 built for the '97 Whitbread Round the World Race but which never made it further than Cape Town due to a financial situation. When Chris Stanmore-Major, owner/founder of Spartan Ocean Racing bought the boat lin ate 2015, she had just 6,000 miles on her, having been kept in storage for years. "She is the lowest mileage Whitbread 60 in the world. We've since put 20,000 miles on her and she's been modified for the kind of racing we do, with roller furling headsails and a change to the backstays that makes the rig a lot more secure and even to operate for the charter crews," he said. Challenger will race Spring Regatta with a crew of 12 sailing guests all new to the boat and two Spartan crew. The team will spend a few days in Tortola pre regatta doing sail training aboard Challenger. 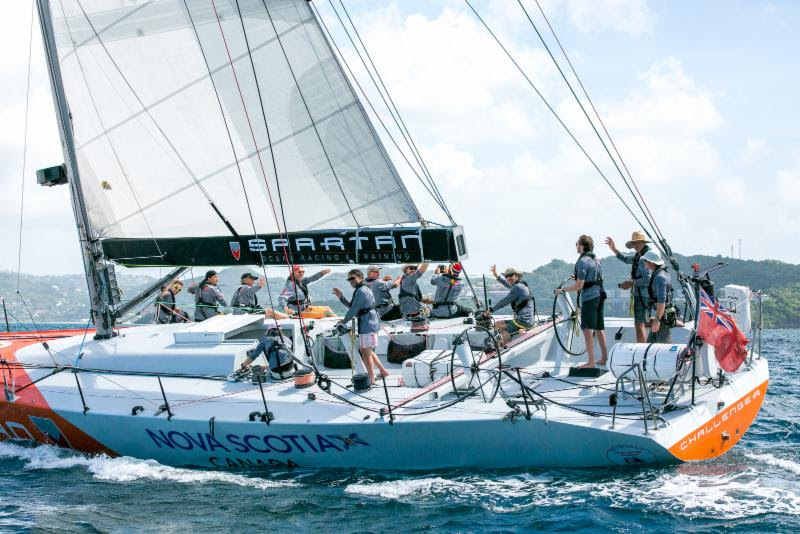 Stanmore-Major, who lives in Nova Scotia, Canada, said the boat has done well in regattas this year, chalking up first, second and third places. 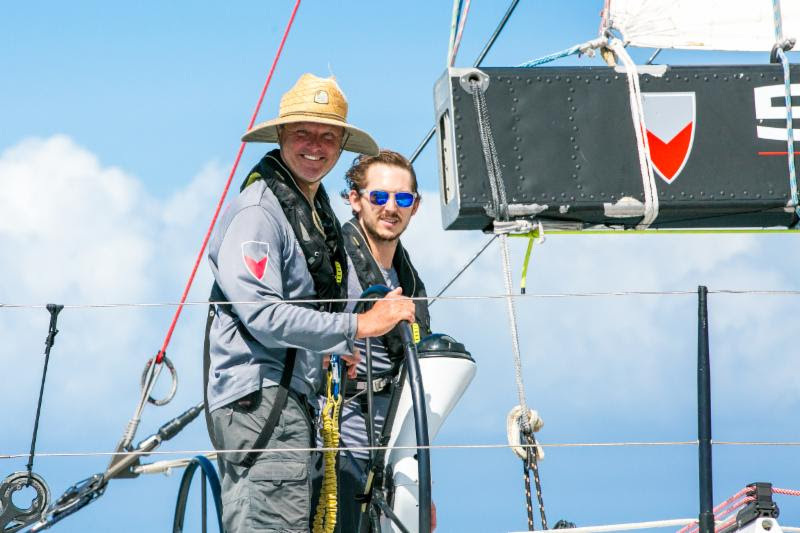 He's confident that with his staff's collective sail training background, they'll be able to put together a competitive team for Spring Regatta, although, oddly enough, it'll be his first time racing in the BVI. "All my racing has been Asia, Europe, around the world etc. so the idea of going to this part of the Caribbean is very exciting," Stanmore-Major laughed." I've heard a lot about it but never had the opportunity. I'm interested to see what goes on..."
Complementing the line-up of new boats and new people are event veterans like Doug Baker, from Long Beach, California. Baker first raced the event in 2000, took a break for a number of years but has been back for the past five events. While he's owned plenty of fast racing boats in his time, these days Baker prefers to charter. This year he will be at the helm of Runaway, an ultralight sled 70 which will be racing Spring Regatta for the first time. From Peru, Runaway was the first across the line at the 2017 Cape2Rio and will do several Caribbean events before Baker meets her in Tortola for Spring Regatta. 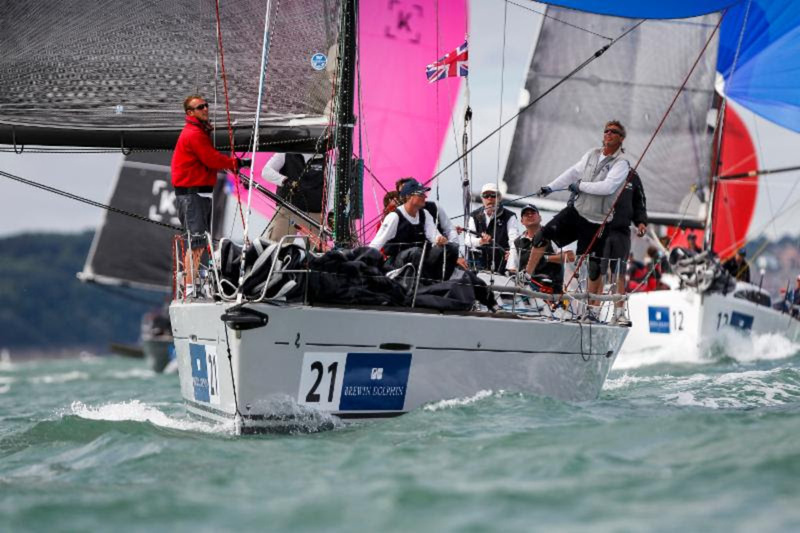 "For the most part chartering works well for me; it's cost effective, it's a little more for each regatta, but then you don't have the maintenance of the boat beyond the expense of owning a boat, Baker explained. "We try to do our research - I understand Runaway's current owner has done a lot of work on the boat and it's in really good condition so we're excited." He'll need about 15 to race Runaway and will have a mix of pro sailors and "volunteers" on board, some whom he has sailed with for 30-40 years, and others 15-20 years. Ernie Richau will navigate and Chad Hough will call tactics; both are from Southern California. Baker has done all the events in the Caribbean, some more than four or five times. "I like the Caribbean, and my crew love coming with me," Baker said, with a big smile. "The weather is always great, 99% of the time you have good wind, lots of competition - we get more competition down there than we do back on the West Coast, the parties are great, it's hard to beat everything that the Caribbean has to offer!" Andrew McIrvine, from the Isle of Wight, UK, is also a Spring Regatta veteran returning to the event for the first time in some 20 years. He's chartered the Beneteau First 40 Olympia's Tigress and will be racing with his crew, Team Larry. "The boat we have is a sister ship of my own boat in England on which we've been very successful; we've won a lot of RORC and other European events with my usual gang on board. Last year we won our class at Cowes Week and a couple of years before at Les Voiles de St Tropez. Tony Mack (Mack Fly) won class at Spring Regatta last year on the same boat." The last time McIrvine sailed Spring Regatta was on a Jeanneau 47 and he'd always wanted to do it again. As Admiral of the Royal Ocean Racing Club, McIrvine was involved in the launching of the RORC Caribbean 600 which he has competed in since that race's inception. This year he wanted to do something different and will have a team of 12 with him. "It's probably too many but everyone wanted to come," McIrvine laughed. "We've hired a young foredeck guy as we're mostly getting old, so that should keep the front end sorted out. I do have Tasmanians on board - not just Australians, but Tasmanians - so we could be in big trouble there. We expect to be reasonably competitive if only I can only keep them off the rum!"